Xiamen, China -October 26, 2018-Yealink, the global leading Unified Communication (UC) solution provider and 4PSA, the software company that builds VoipNow, the award-winning PBX and UC platform for the Cloud, announced today that Yealink’s high-quality phones have completed thorough interoperability tests for the VoipNow platform. As a global leading UC solution provider, Yealink constantly focuses on delivering valuable voice communication products as well as video conferencing solutions to extend the value of network communication. Yealink products are equipped with advanced industry technology to ensure a better quality and exhibit high definition audio or video experience. They also impress users with rich features and various value-added functions. Yealink Phone product series benefits customers from its high quality, easy deployment, broad interoperability and attractive pricing. VoipNow is designed for service providers to deliver Unified Communications and Collaboration services, enterprise telephony, and fully-featured contact centers. VoipNow connects users to the whole communication stack: from the traditional PSTN to VoIP and mobile and up to the browser based communication. “VoipNow users can now achieve blazing fast deployment of supported Yealink phones. The available provisioning templates provide access to telephony features, voicemail integration, presence, compatible phone codes and much more,”said Elena Carstoiu, 4PSA’s COO. 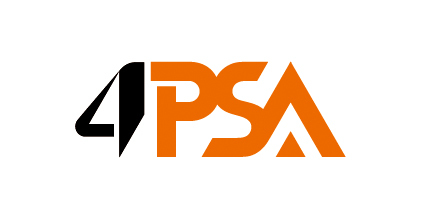 4PSA is a software company that has been breaking down communication barriers for the past 16 years.VoipNow platform helps thousands of service providers deliver enterprise telephony, video, presence, instant messaging, mobility and contact center services. This award-winning solution provides a blazing fast go-to-market due to its rapid setup and easy deployment, integrated charging engine, and competitive pay-as-you-go pricing.Hubgets enables teams to instantly communicate via chat with file transfer and screen sharing, voice, and video, turning experience into searchable knowledge. With Hubgets and VoipNow, service providers can offer high-value Communications and Collaboration as-a-service for their customers. For more information, please visit: https://www.4psa.com and https://www.hubgets.com.